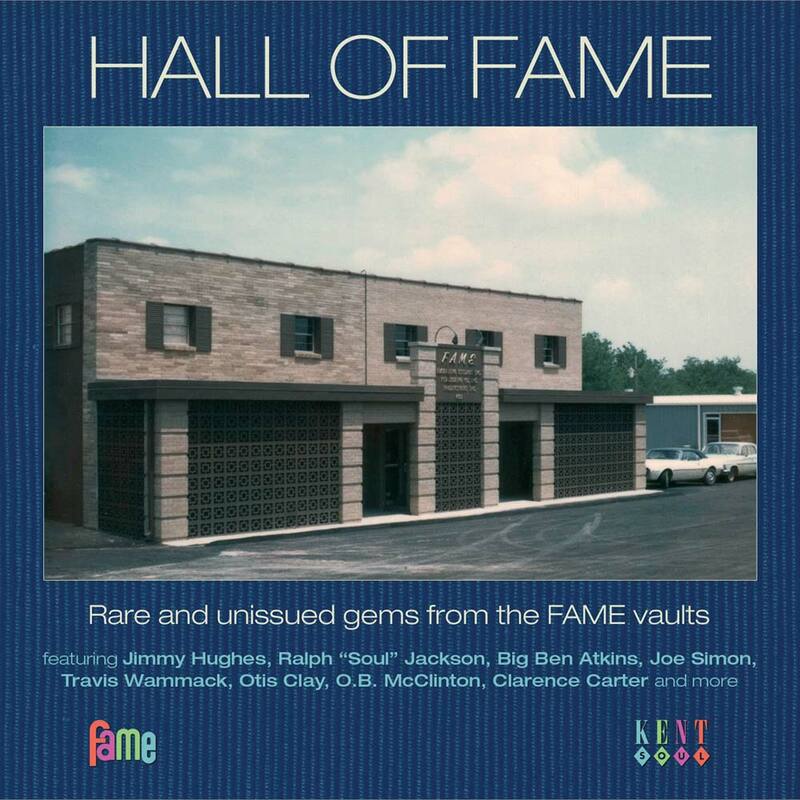 HALL OF FAME-RARE AND UNISSUED GEMS FROM THE FAME VAULTS. There aren’t many recording studios that play such an important part in their town’s history as Fame Records. It was added to the list of local landmarks and designated part of the town’s heritage. That’s what happened to the Fame Recording Studios in December 1997, when the recording studios were added to the Alabama Register of Landmarks and Heritage. For anyone not familiar with the history of Southern Soul, you may be wondering what makes this particular studio so important? The story starts during late fifties when Rick Hall, Tom Stafford and Billy Sherill founded a record label, and built their first studio above the City Drug Store in Florence, Alabama. However, by the early sixties, this nascent partnership would split-up, resulting in Tom Stafford and Rick Hall needing a new studio. They decided to move to what had been a tobacco warehouse in Muscle Shoals, Alabama. As if by magic, Rick Hall soon recorded what would be his first hit single, Arthur Alexander’s You Better Move On. Wisely, he decided to invest the profit in a better studio, and moved to their current location Avalon Avenue in Muscle Shoals, Alabama. The first hit single Rick Hall recorded in his new studio was Jimmy Hughes’ Steal Away. Little did Rick Hall know it back then, but soon his new studio would see artists coming from far and wide to record at Fame. After Rick’s success with Jimmy Hughes, word got out that Fame was the place to go to record a new single or album. Quickly, everyone from Tommy Roe to The Tams, and from Joe Tex, Joe Simon, George Jackson and Clyde McPhatter right through to Irma Thomas, Etta James and Mitty Collier. Even Aretha Franklin recorded at Muscle Shoals. Indeed, it was at Muscle Shoals that Jerry Wexler brought Aretha Franklin, to record her 1967 album I Never Loved A Man the Way I Loved You. However, why did all these artists choose to head to Muscle Shoals to Fame? Part of the reason was the session musicians that worked with Rick Hall. This included the legendary Muscle Shoals Rhythm Section and Muscle Shoals Horns. They were some of the hottest and tightest musicians of that era. This included drummer Rodger Hawkins, bassist David Hood, guitarist Jimmy Johnson and keyboardist Barry Beckett. When they recorded together, they were one of the finest studio bands ever. Between 1961 and 1969, when they departed from Fame to found the rival studio Muscle Shoals Sound Studio. However, for eight years, they graced numerous hit singles and album. The Muscle Shoals Rhythm Section and Muscle Shoals Horns can also be found on many of the tracks on Hall Of Fame-Rare and Unissued Gems From The Fame Vaults. Kent Soul, an imprint of Ace Records released Hall Of Fame-Rare and Unissued Gems From The Fame Vaults in February 2011. It featured twenty-four tracks, including twenty-one tracks which had never been released before. This includes unreleased tracks from James Barnett, Jimmy Hughes, Joe Simon, Marjorie Ingram, Clarence Carter, Otis Clay and George Jackson. Most of the tracks were produced by Rick Hall, co-founder of Fame Records. The exception is Travis Wammack’s Let’s Do It Over, which was produced by George Jackson. Many of the tracks on Hall Of Fame-Rare and Unissued Gems From The Fame Vaults feature The Muscle Shoals Rhythm Section and Muscle Shoals Horns in their prime. Back then, they when they were the hottest backing band in soul music. That’s obvious on The Muscle Shoals Rhythm Section and Muscle Shoals Horns which I’ll pick the highlights of. James Barnett’s You’re So Fine opens Hall Of Fame-Rare and Unissued Gems From The Fame Vaults. This track was written by Lance Finney, Willie Schofield and Robert West. Originally, it was a hit for The Falcons and was meant to be the followup to his debut single Keep On Talking, which is a favourite amongst the Northern Soul community. Sadly, You’re So Fine was never released. Hook-laden, soulful and dance-floor friendly describes this hidden gem. Jimmy Hughes enjoyed a successful spell at Fame Records before he signed for Atlantic Records. However, before he signed to Fame, he released an album in 1964 ,for Vee Jay, Stay Away. The title-track which Jimmy penned, was released as a single in 1964. It launched Jimmy’s career. In 1967, Jimmy rerecorded the single as Stay Away Pt. 1, but it was never released. Since the, the tape for Stay Away Pt. 1 couldn’t be found. Thankfully, it was found and features on Hall Of Fame-Rare and Unissued Gems From The Fame Vaults. Why? Well, it features a needy, pleading and soul baring vocal from Jimmy. Then on Spooner Oldham and Dan Penn’s I Worship The Ground You Walk On, which was made famous by Etta James, breathes new emotion and meaning into the track. Both tracks see Jimmy demonstrate why he enjoyed such a long and successful career. Most people remember Big Ben Atkins for the singles he recorded for Goldwax and Josie. He never released any singles on Fame Records. Tell It Like It Is was recorded at Fame but never released. A fusion of R&B, soul and blues, Ben’s rasping, worldweary, lived vocal and blues horns prove a potent partnership. This results in one of compiler Tony Rounce’s best finds. Joe Simon is another artist who enjoyed a long and successful career. Back in 1964, as he career began, Vee Jay sent Joe to Fame to record four tracks. This included the single Let’s Do It Over. Two of the tracks were never relaxed. One of these tracks was When It Comes To Dancing, which was written by Donnie Fritts and Dan Dan Penn. An uptempo dancer, where horns, harmonies and handclaps accompany Joe, it’s another track the Northern Soul fraternity will love. Prince Phillip played his part in the Fame Records success story. Mostly, this was through the songs he wrote. He did enjoy a career as a singer, but only recorded one session at Fame. One of the tracks he recorded was Keep On Talking, which was written by Dan Penn and Spooner Oldham. Rick Hall, who produced the single, leased the single to the Smash label. It epitomises everything that’s good about Southern Soul and showcases one of Southern Soul’s best kept secrets Prince Phillip. James Gilreath enjoyed a hit single with Why Not Tonight, which was written by Jimmy Hughes. The followup was meant to be a song James wrote, Meet Me Tonight. He recorded this demo version of the song with the classic lineup of The Muscle Shoals Rhythm Section. Their performance spurs James on, as he deliver a heartachingly beautiful slice of country soul. Clarence Carter enjoyed two spells at Fame Records. They were before and after his time at Atlantic Records. His two contributions on Hall Of Fame-Rare and Unissued Gems From The Fame Vaults are both demos. The first is Tell Daddy which he wrote with Marcus Daniel and Wilbur Terrell. On this version, the lyrics differ from those on the B-Side of Clarence’s 1996 Fame single I Stayed Away Too Long and Etta’s versiom. Clarence’s other contribution is Too Weak To Fight, which he wrote with George Jackson, Rick Hall and John Keyes. Despite only being a demo, Clarence’s vocal oozes emotion and passion, as the lyrics come to life. No wonder Clarence Carter is so fondly remembered by connoisseurs of Southern Soul. Otis Clay is one of the most underrated Southern Soul singers. His career started in 1965 at One-Derful, before he headed to Cotillion. Next at Hi Records, where he released 1972s Trying To Live My Life With You and 1977s Can’t Take It. Both are hidden gems. So are the two tracks Otis contributes to Hall Of Fame-Rare and Unissued Gems From The Fame Vaults. They’re from Otis’ time at Cotillion. 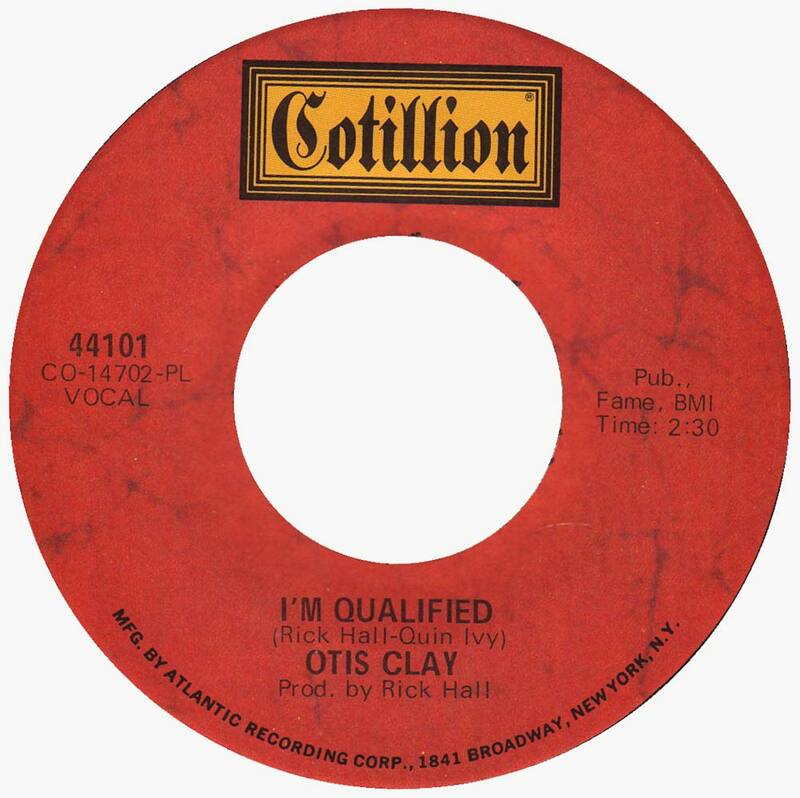 The first track is the 1970 single I’m Qualified which was written by Rick Hall Quin Ivy. Here, Otis swaggers his way through the song, delivering a needy, impassioned vocal. 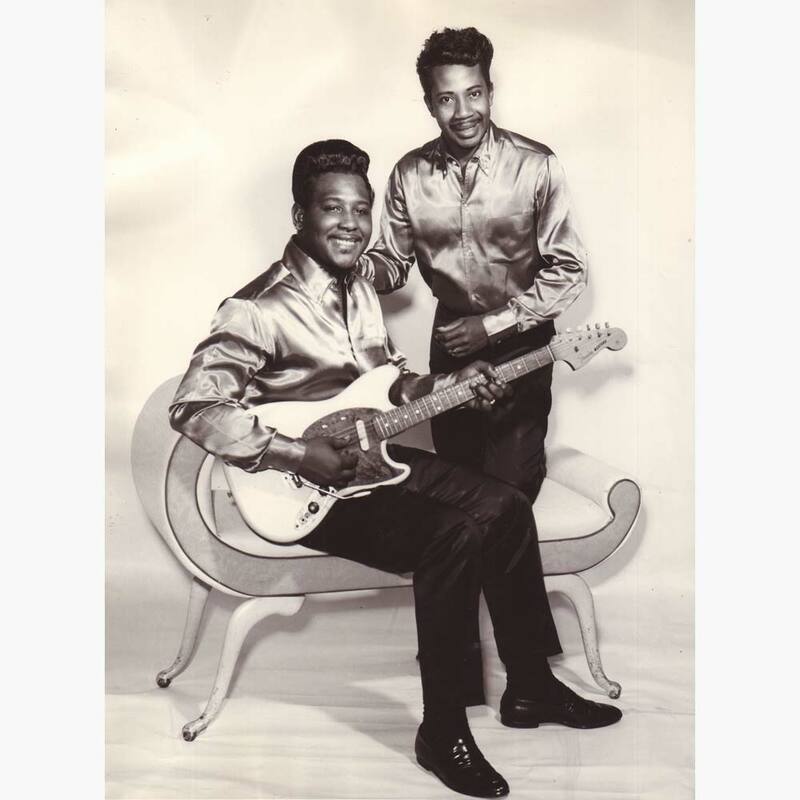 Then on the Mickey Buckins penned ballad Your Helping Hand, Otis’ gospel roots shine through. These two track show two sides to one of Southern Soul’s best kept secrets. My final choice from Hall Of Fame-Rare and Unissued Gems From The Fame Vaults is George Jackson’s For You. It was written by George and recorded at his home. While the sound quality isn’t as good as other tracks, George accompanied by a lone piano, delivers a heartfelt and beautiful, coo-wop tinged version of this track. Hall Of Fame-Rare and Unissued Gems From The Fame Vaults was the first instalment in what’s become one of Kent Soul’s most successful compilation series. The followup, Hall Of Fame Volume 2 was released in February 2013, with Hall Of Fame Volume 3 due out in February 2014. This shows how much quality music is still awaiting discovery in Fame Records’ vaults. For compilers like Tony Rounce, Fame Records is the musical equivalent to King Solomon’s Mines. Who knows how many more instalments there will be of the Hall Of Fame series. This series started back in 2011, with Hall Of Fame-Rare and Unissued Gems From The Fame Vaults. It featured twenty-four tracks, and is just a taster of the music recorded at Fame Recording Studios, Muscle Shoals. Between 1961 and 1972, it was one of the busiest studios in America. Especially between 1961 and 1969, when the legendary Muscle Shoals Rhythm Section and Muscle Shoals Horns were in their prime. Many of the tracks on Hall Of Fame-Rare and Unissued Gems From The Fame Vaults feature the finest studio band of the sixties at their very best. They play their part in many of the song’s success. That’s why record companies sent their artists to record at Fame. The combination of producer Rick Hall and The Muscle Shoals Rhythm Section and Muscle Shoals Horns was a potent one. They played on a string of hit singles and many of the tracks on Hall Of Fame-Rare and Unissued Gems From The Fame Vaults, some of the unreleased tracks. Most of the tracks on Hall Of Fame-Rare and Unissued Gems From The Fame Vaults were recorded Fame Studios, Avalon Avenue in Muscle Shoals, Alabama. It’s now a local landmark. Nowadays, Fame Recording Studios is an important part in Muscle Shoals’ history. It was added to the list of local landmarks and designated part of the town’s heritage. For anyone interested in Southern Soul, Fame Records, is synonymous with quality Southern Soul. This will be apparent when you listen to Hall Of Fame-Rare and Unissued Gems From The Fame Vaults. Standout Tracks: Jimmy Hughes I Worship The Ground You Walk On, Big Ben Atkins Tell It Like It Is, Clarence Carter Too Weak To Fight and Otis Clay Your Helping Hand.